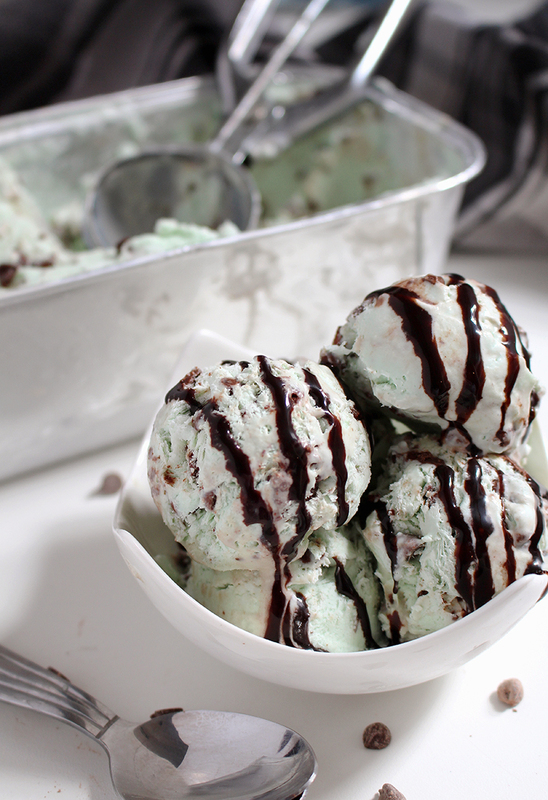 Creamy, soft and melting in your mouth – Homemade Mint Chocolate Chip Ice Cream. Every bite is full of mint and chocolate. Cool and refreshing, perfect for hot summer days. It is also very easy to make. You will probably have all ingredients at your hand. Take a look the rest of our Ice Dream dessert recipes Blackberry Cheesecake Ice Cream and Caramel Pretzel Cheesecake Ice Cream. What do you need to make Mint Chocolate Chip Ice Cream? 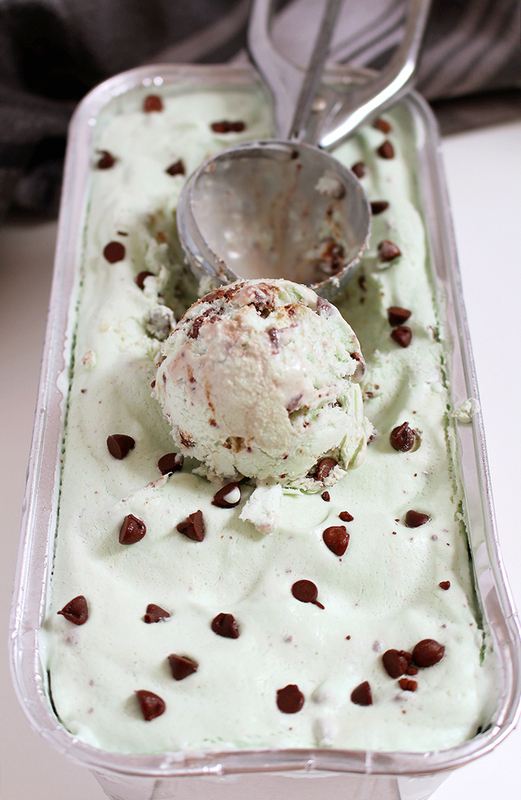 How to make Mint Chocolate Chip Ice Cream? Combine well sugar, salt, milk,heavy cream, vanilla and peppermint extract in first bowl. Color with the green food coloring. Pour the mixture into an ice cream maker and freeze. Add the chocolate chips and mix until well incorporated. Pour into a container and freeze for 2-3 hours. Serve and decorate with chocolate topping. Great combo of peppermint extract, chocolate chips and heavy cream. You can use reduced fat milk 2% instead of full fat 3,2%.. for lighter taste of ice cream. Better and healthier than ice cream from a store for sure. 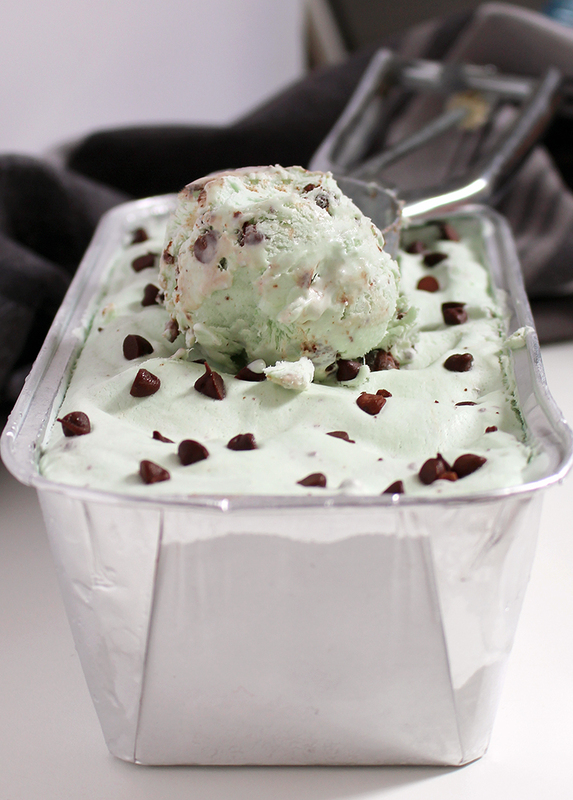 Try these sweet and yummy Mint Chocolate Chip Ice Cream, you definitely won’t be disappointed. You will certainly enjoy the seductive combination of peppermint and chocolate chip in a form of ice cream. Enjoy with this Ice dream!